In any recording environment, the elimination of unwanted noise is essential to achieving a quality recording. Undesired noise can often "bleed" or leak out of studio headphones during the recording process. 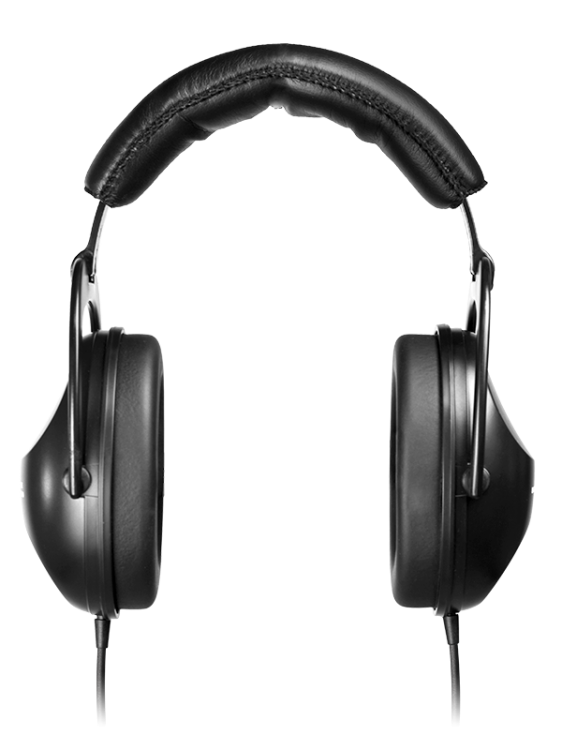 Having a pair of headphones which can isolate or contain noise are an indispensable tool for any recording studio. 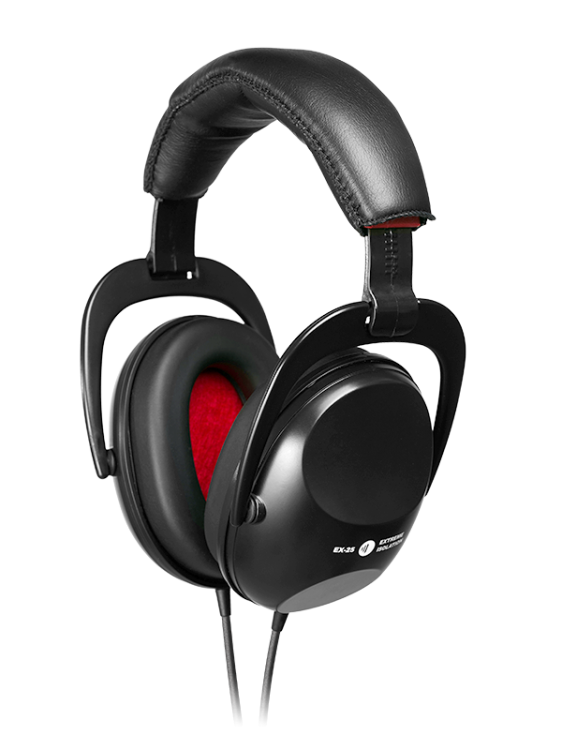 Closed-back headphones are designed to provide more isolation compared to traditional open-back models. The EX-25 takes this concept of extreme isolation a step further by improving upon the closed-back design to minimize leakage, as well as attenuate background noise. 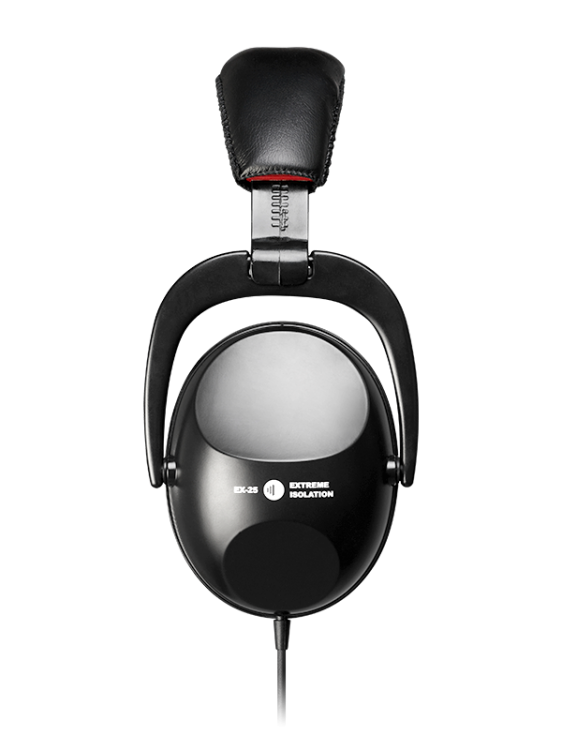 While some sound isolation headphones utilize active electronics to cancel out unwanted external noise, the EX-25 Extreme Isolation Headphones are a totally passive design that does not require a power source while attenuating external noise up to 25dB according to the manufacturer's specs. The EX-25 comes with an adjustable headband and feels very lightweight and comfortable, even while wearing them for an extended period of time. The 9-foot long cable is adequate for most applications and the cord is a non-curly, straight style. A 1/4 inch stereo adapter is included. While some headphones can be louder than others, the EX-25 features a sensitivity rating of 107dB/mW, which in the real world means they will provide more volume than you will ever need. Although isolation headphones are predominately used by drummers who play to a click, or engineers who are positioning a guitar cabinet mic, sound isolating headphones can be quite useful in many other situations where you need to attenuate unwanted background noise. For instance, let's say you're recording a vocal track and you notice that in-between vocal phrases, your microphone picks up sounds that are bleeding into your recording. This can be frustrating to remove later, so eliminating unwanted bleed before it begins can save you a lot of time later during the editing process. In other cases, you may be working on mixing a track and your next-door neighbor is practicing on his drum kit. With Extreme-Isolation headphones, unwanted noise is eliminated allowing you to focus clearly on your mix. After testing the EX-25 in a variety of recording scenarios, I found that it does a great job at blocking sound, though it is more effective at attenuating high and mid frequencies. Low frequencies are reduced, but not eliminated, which is expected as a large amount of dense mass is required to effectively absorb low frequencies. Even though isolation headphones are not known for high-quality sound reproduction, the overall sound of the EX-25 is very good with a well-balanced low end and mid range, but slightly less clarity in the highs that you would get on more expensive open-back headphones. I had no problem using these headphones to find the sweet spot of my 4 x 12 guitar cabinet, and the sound I heard in the headphones translated very evenly to the sound of the recorded guitar played back on the studio monitors. My drummer, who normally doesn't like to play to a click, but for a song that required a very precise and steady beat, he had no problem hearing the click and keeping time while using the EX-25. In conclusion, Extreme-Isolation headphones are comfortable and provide great sound reproduction while effec tively blocking background noise, headphone bleed and distractions. EX-25 headphones are also great for everyday use, from listening to music on your stereo or MP3 player, to blocking out distractions while studyin g or relaxing. While "active-isolation" headphones can cost an arm and a leg, the EX-25 are reasonably priced at $89.95.